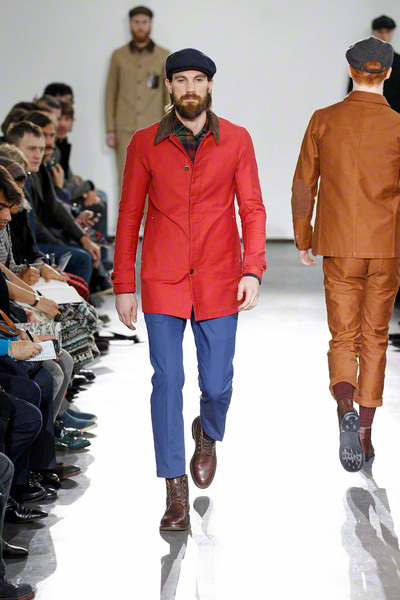 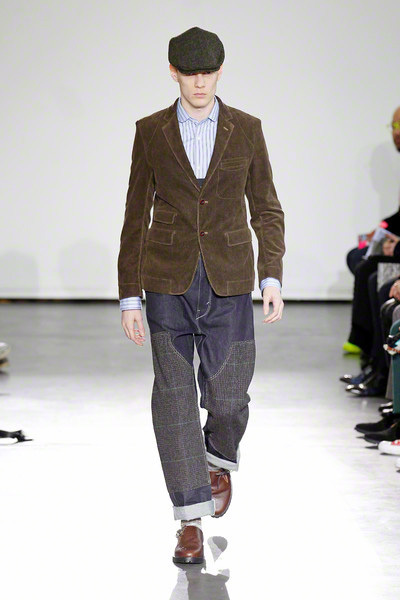 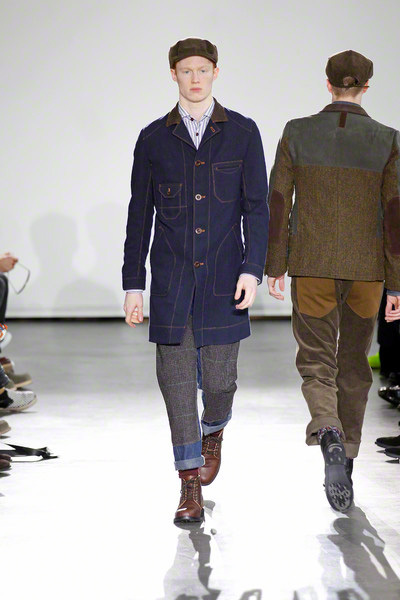 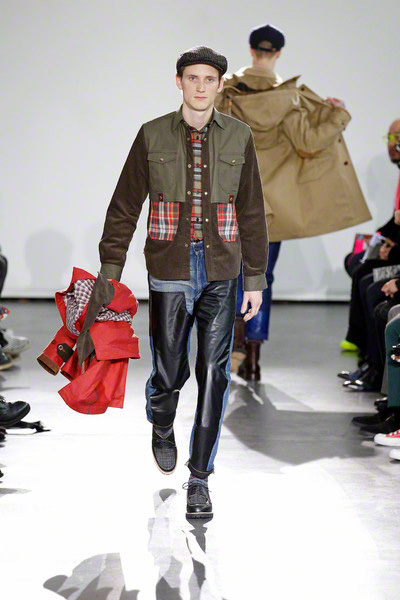 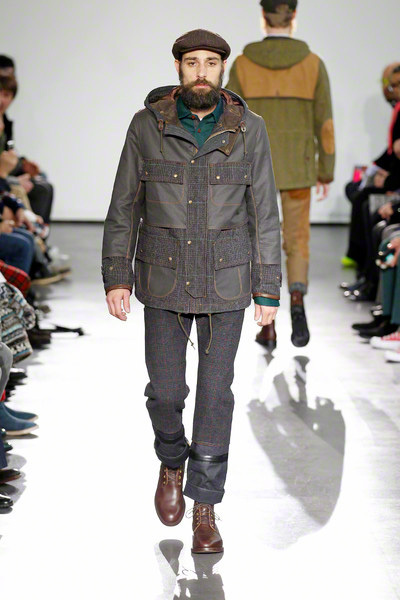 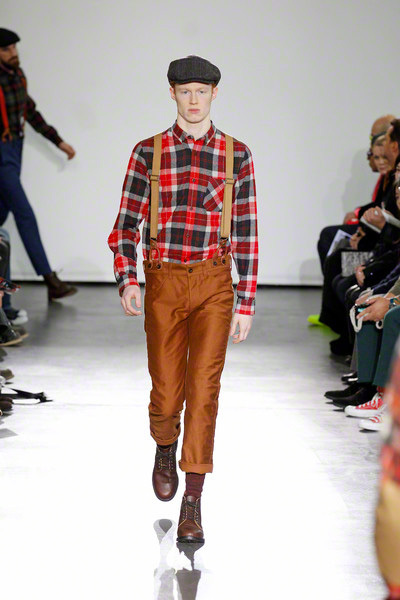 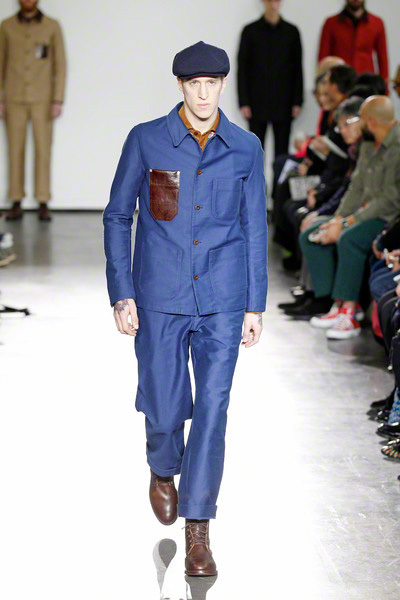 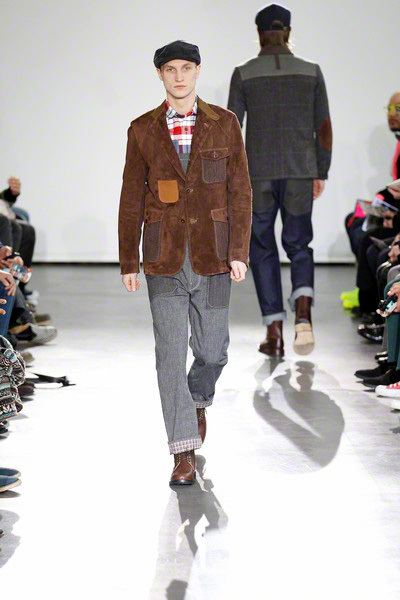 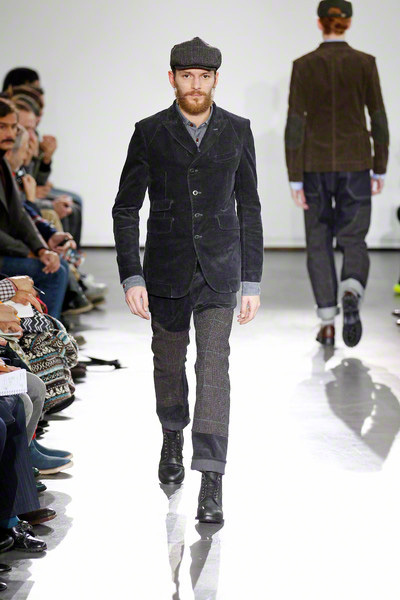 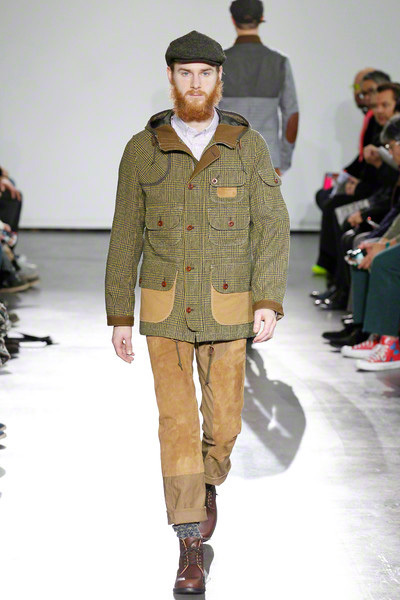 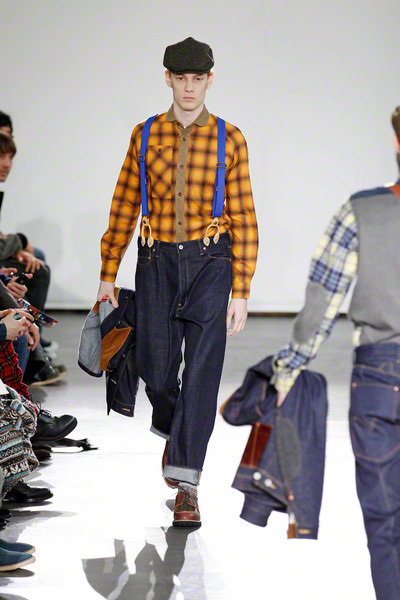 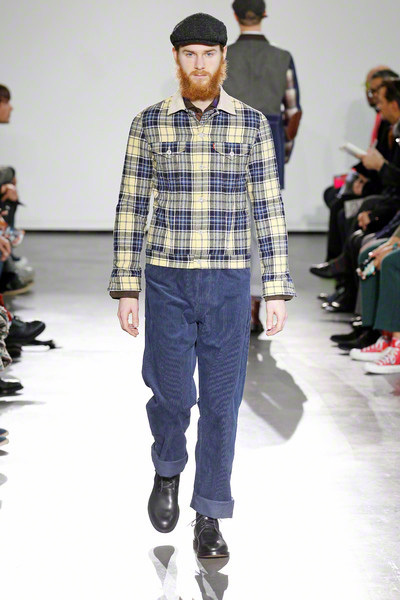 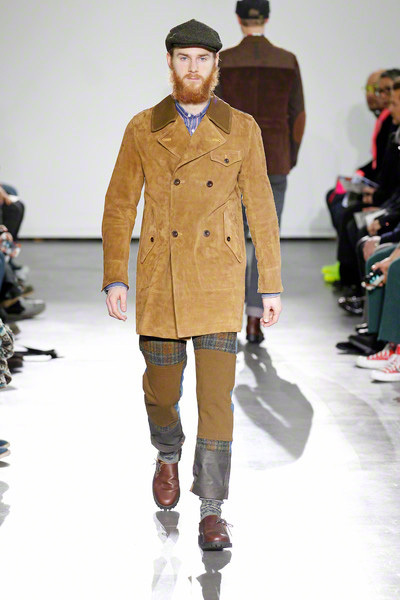 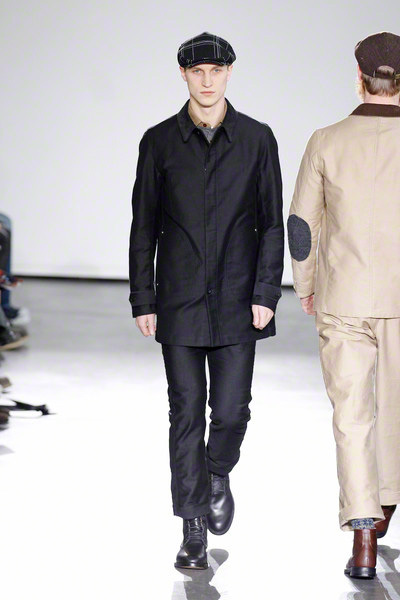 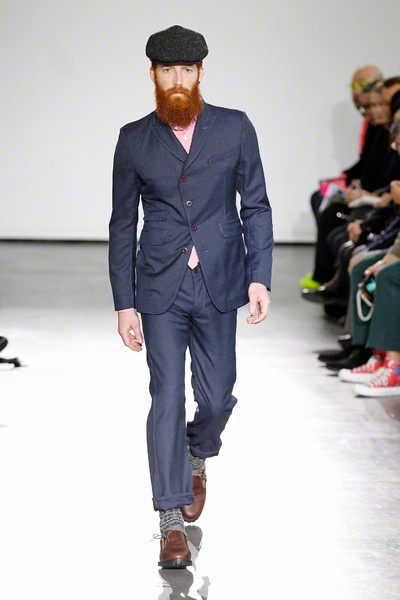 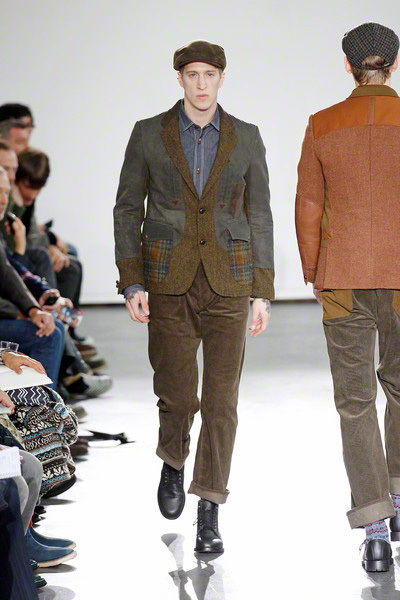 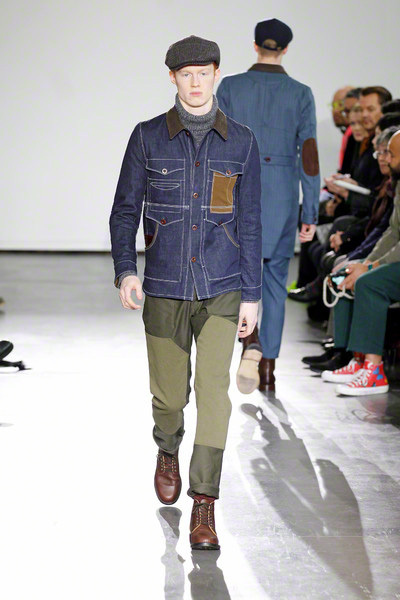 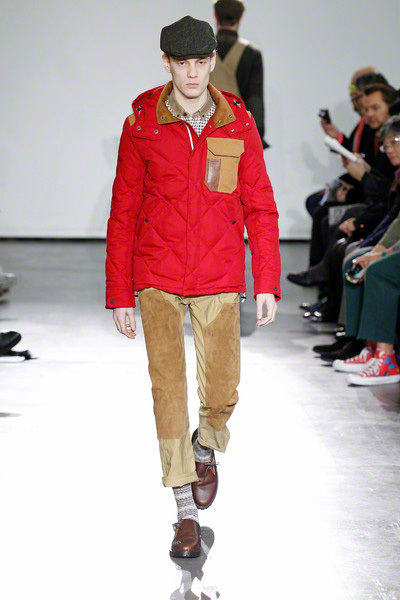 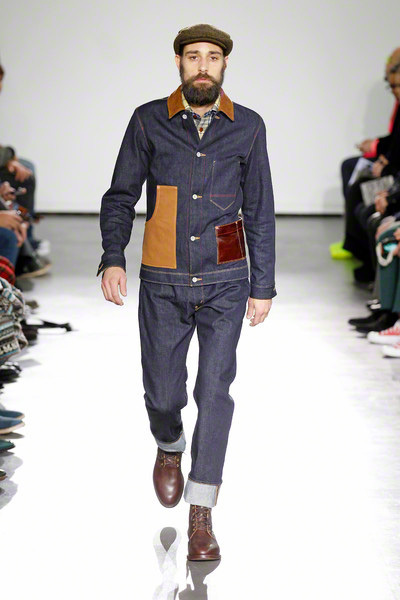 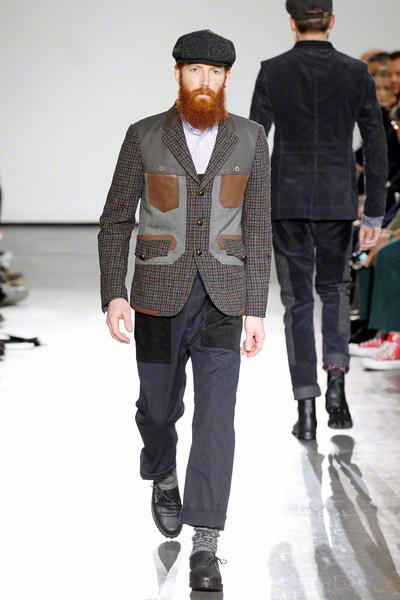 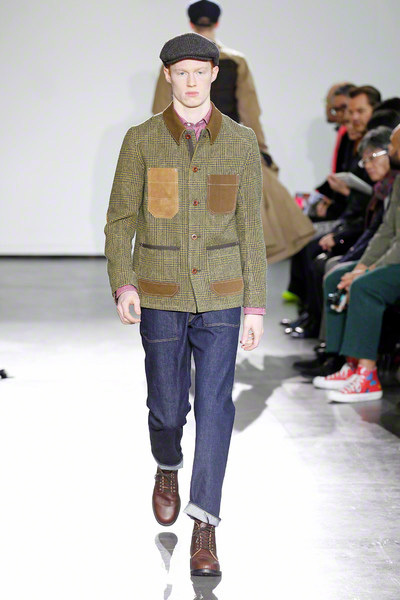 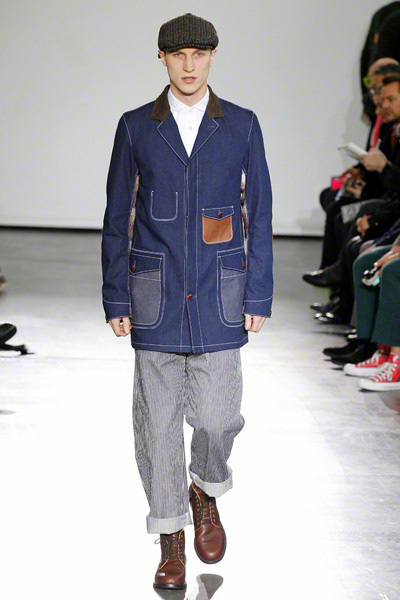 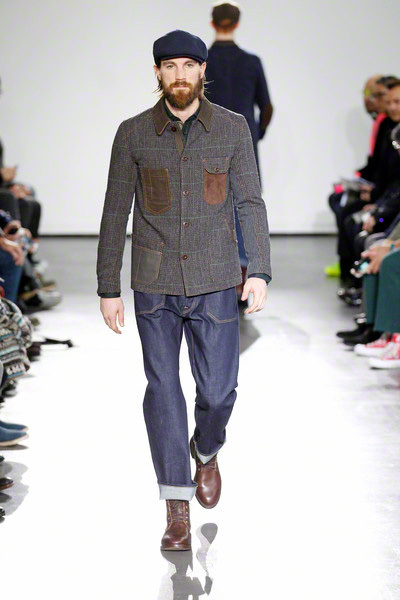 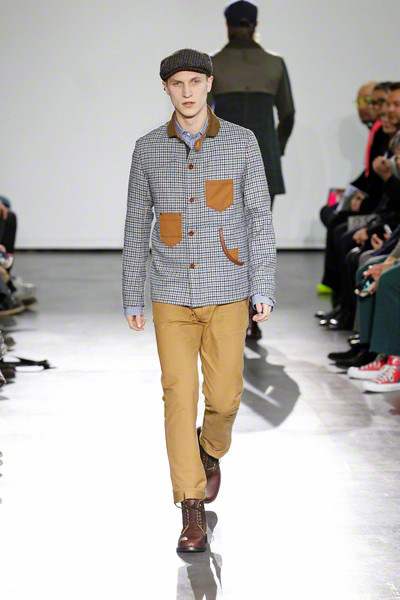 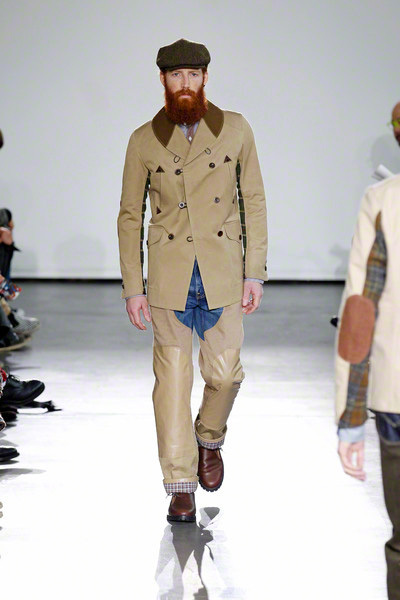 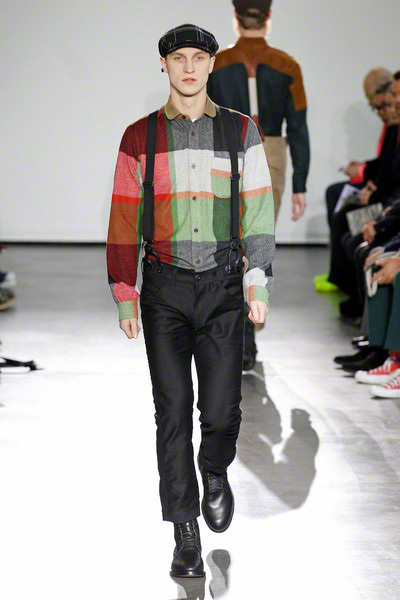 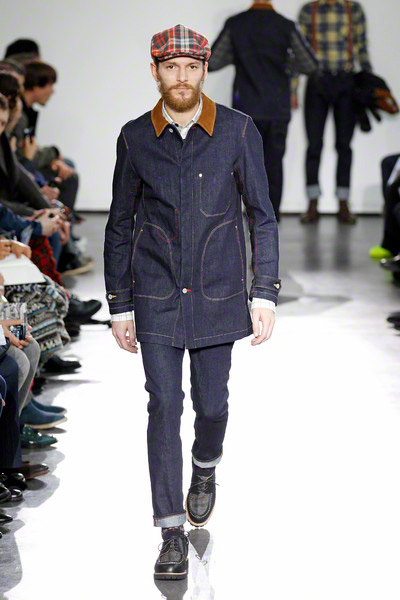 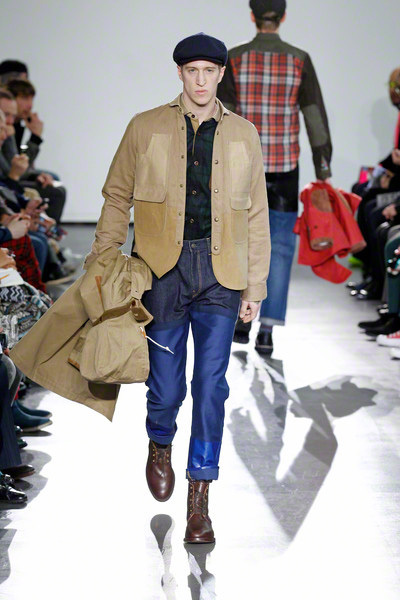 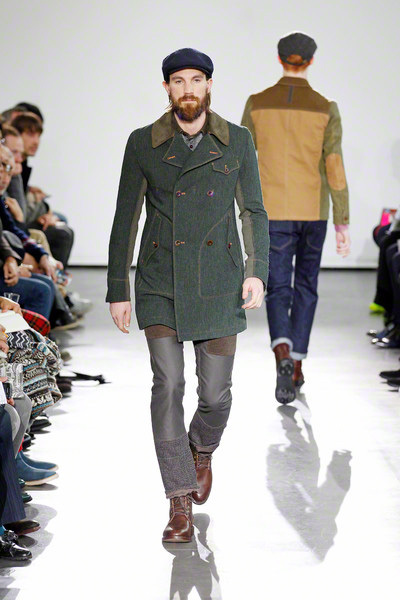 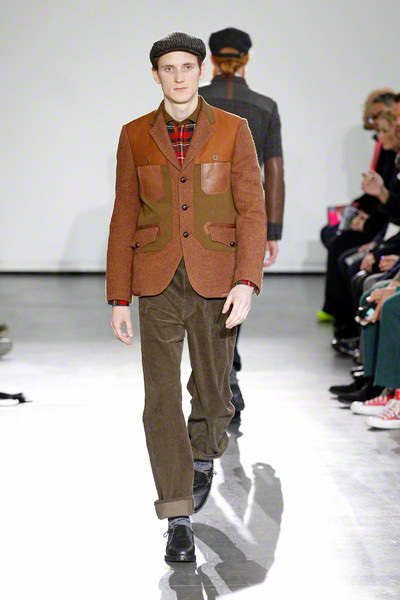 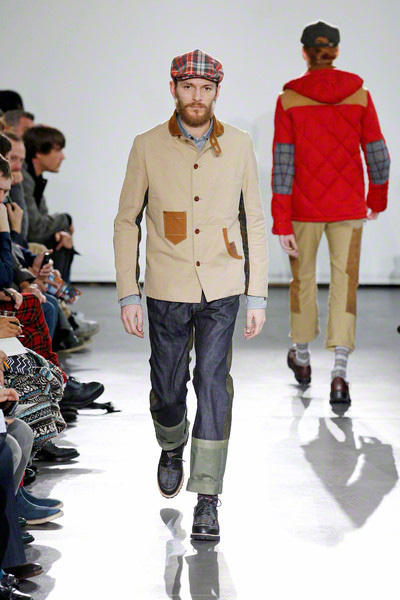 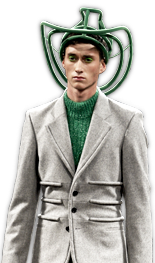 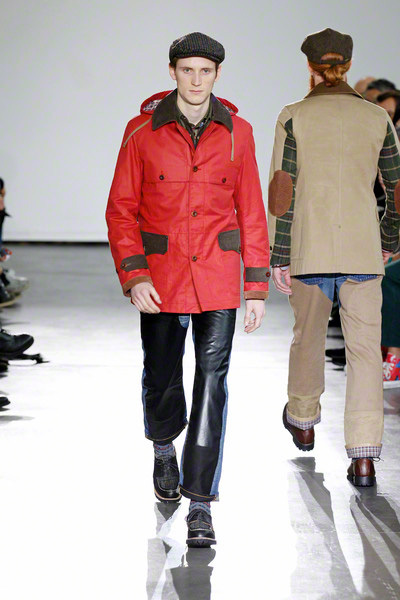 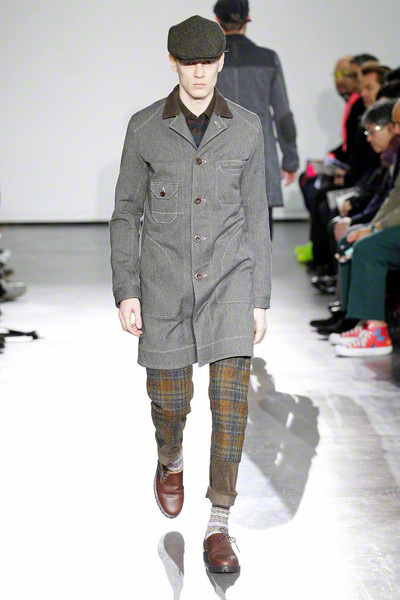 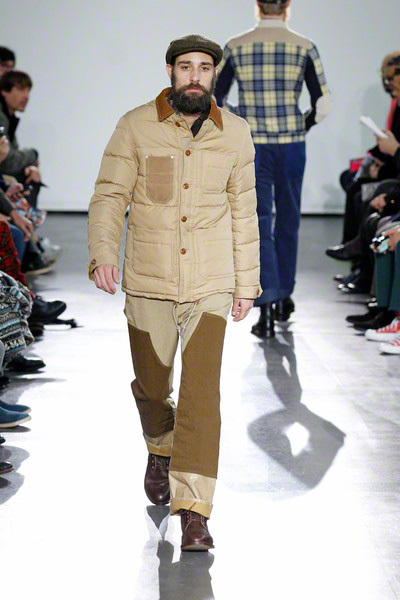 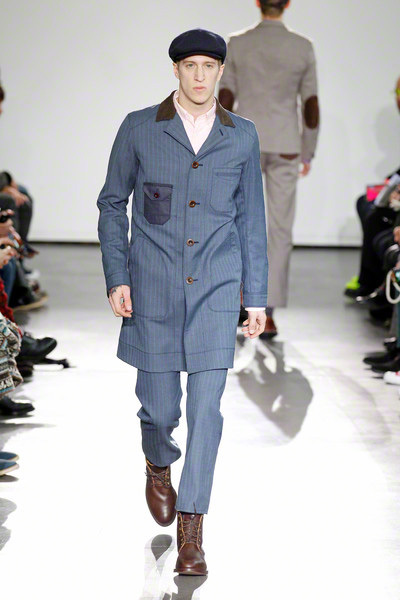 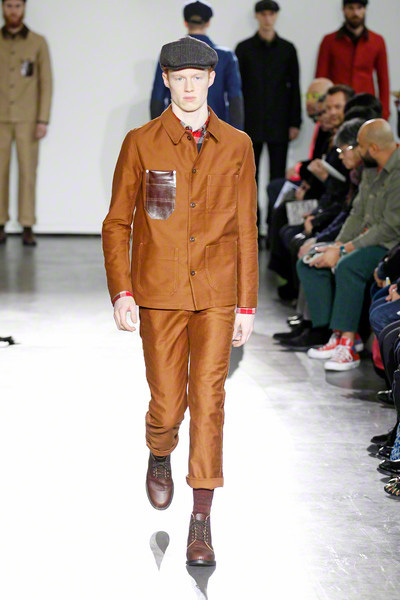 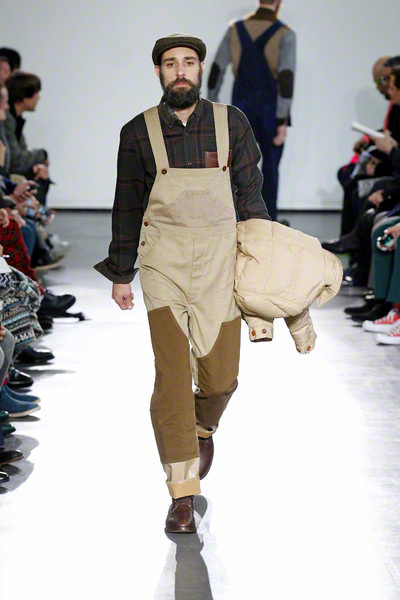 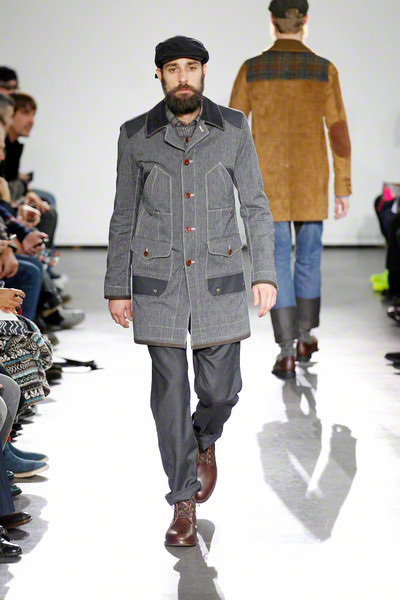 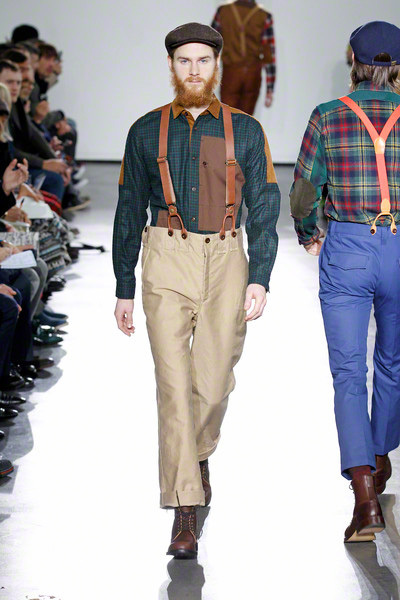 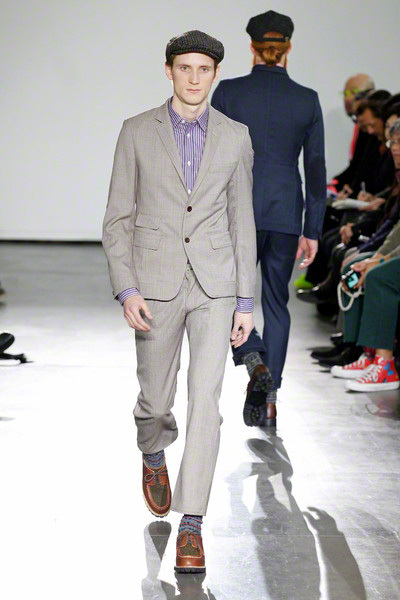 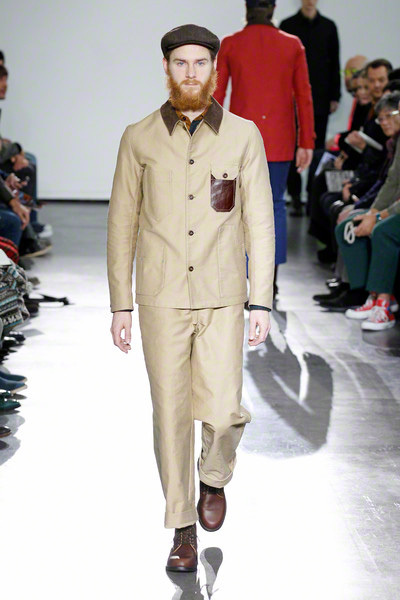 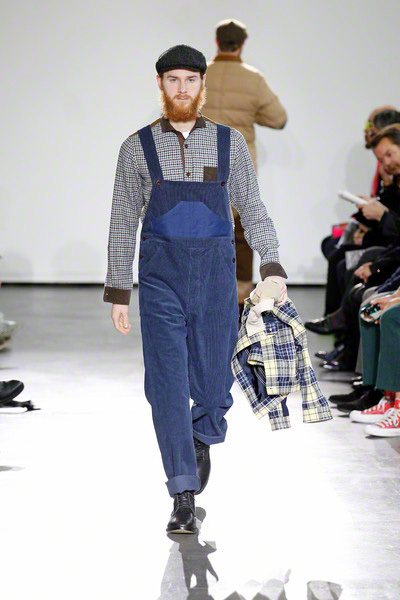 Junya Watanabe is fascinated by all American work wear, and it’s not different with his new fw2012 collection. 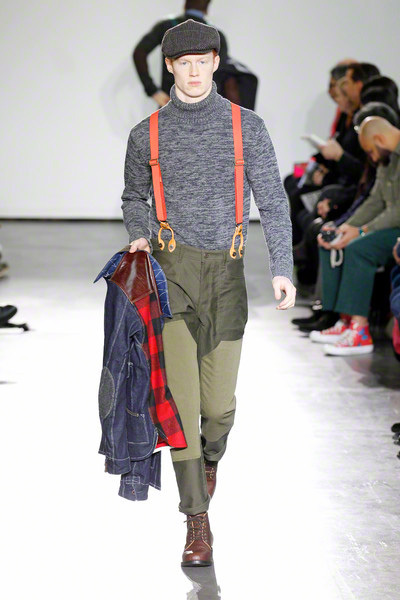 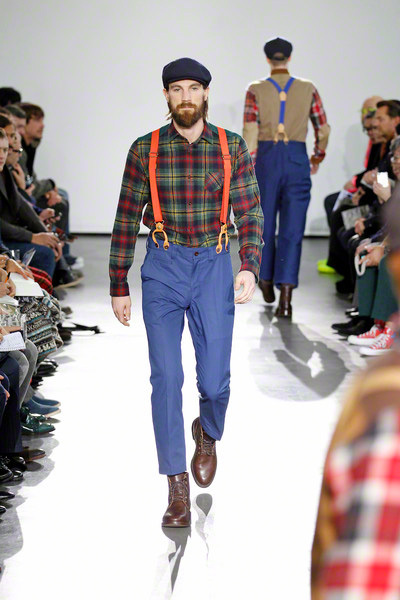 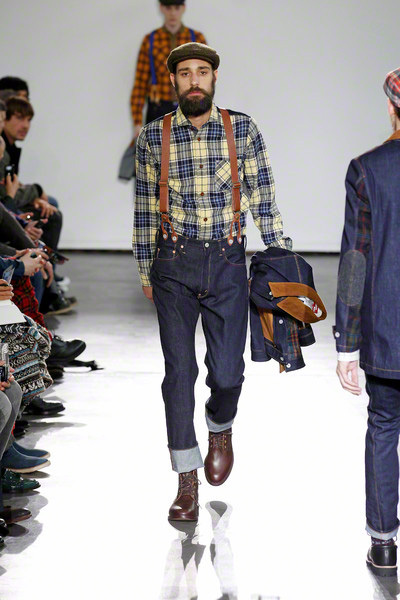 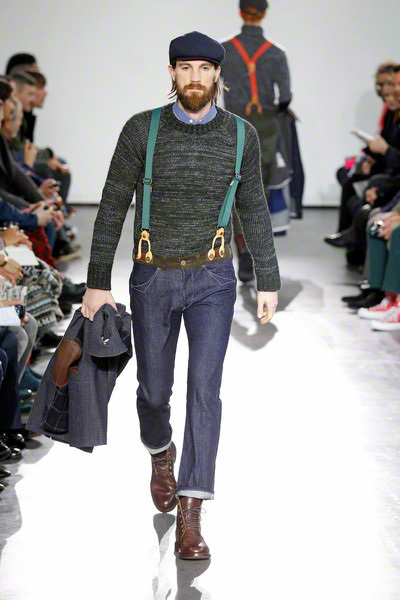 This time he focused farmers, with the loose fitting jeans, the plaid shirts and leather suspenders. 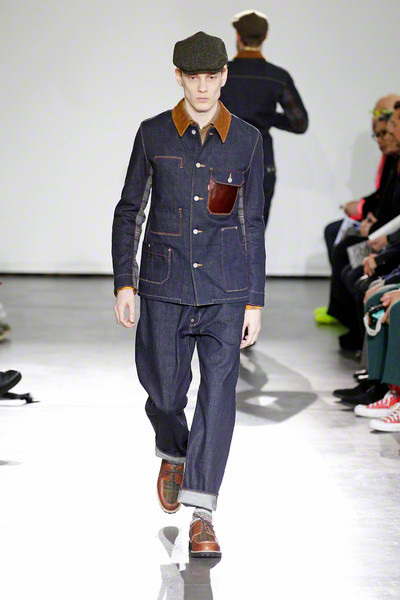 There were also (denim) suits with leather elbow patches and patches of leather and pleads.